The days of "Wild West” one-off website development are over. Today many businesses are focused on building, launching and running winning websites based on open source Web CMS — namely WordPress and Drupal. But in order to overcome adoption hurdles, meet workflow demands and scale their digital platforms, businesses need to tame the chaos with a professional website platform. 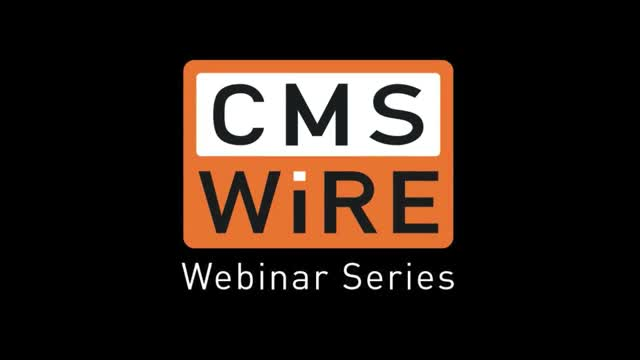 Join CMSWire and Pantheon for a one-hour exploration of the best practices for adopting open source solutions and how building a scaleable Web CMS operation will empower both your marketing and IT teams, and take your growth to new heights. On June 11th 2015 Pantheon hosted a webinar with Four Kitchens and Pixo to learn about the latest developments with decoupled CMS. Fill out the form to the right to access the 60-minute recording of this high value session. For anyone embarking on a fresh new build, or with dynamic use-cases in mind, a decoupled architecture is worth serious consideration. Review the webinar and find out why. Still managing dev tools and infrastructure? Well, it’s time to stop doing non-revenue-generating work and get your agency streamlined for growth. Could your digital assets be hurting conversions? That’s what happens when a video takes 10 seconds to load. Media and publishing companies live and die by their website performance. Learn how successful sites are streamlining digital assets for optimal performance when you watch this webinar with Pantheon and DOOR3. Data is best when shared. On your website, in the cloud. But sometimes you need a firewall, too. It’s a security thing. What if you could have it all—open data, firewall, and cloud? See how enterprises are opening data from behind the firewall to share with employees, constituents, and students, while running their Drupal and WordPress websites in the cloud. Watch this 40-minute webinar, Open Data, Not Firewalls now! If you love your data, set it free. It takes a team of developers to build a website. And only one to bring it down. If you want to deploy with the strength of 10,000 developers, you shouldn’t have wait for someone to configure the permissions. See how big teams are collaborating without exposing high-profile sites to rookie mistakes.